You are lethal, agile, & flexible. Your 420 kit should live up to the same standards. Toto 2.0 stash kits will protect your glass pipes and more deep undercover, far behind enemy lines. The Ranger Case 2.0 has a tough fiber shell wrapped in a rugged nylon green fabric, sealed with a water proof zipper and a custom Mad Toto pull. On the left, there are 2 silicone non-stick stash jars. The right side contains a double neoprene protective holder , and a holder for your Mad Toto cleaning tool. A Mad Toto cleaning tool & a dual gated carabiner ships with each Ranger Case 2.0. Use the dual slots to stash your glass piece or other gear! 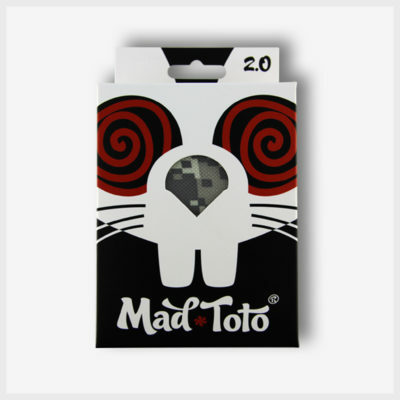 And don’t forget, a free Mad Toto sticker is included in every case!